We are at the Carole Nash MCN London Motorcycle Show 2017! 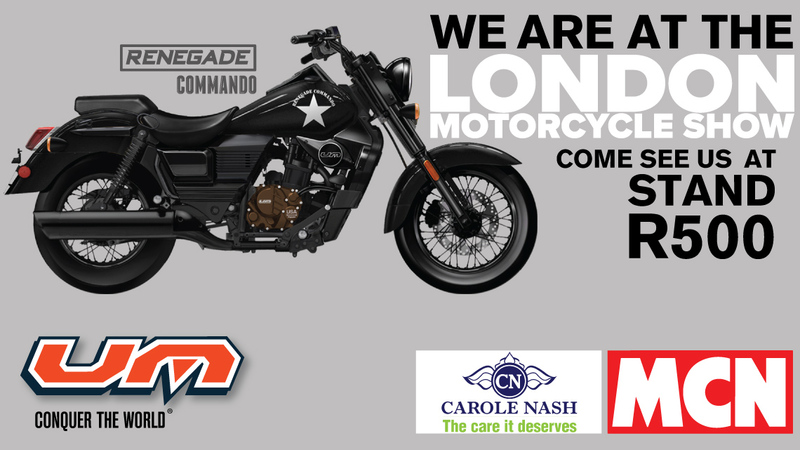 We are excited to announce that we are attending the Carole Nash MCN London Motorcycle Show at the Excel Centre in London 17-19th February. Come along and see a selection of our bikes as we get ready to release our models in the UK. We can be found on stand R500. We look forward to seeing you there!